This beautiful little card (about 4" high) is a Whitney Made card. 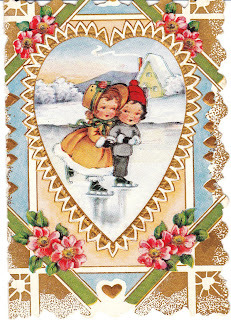 It's 1920's vintage and features two children ice skating on a frozen pond. Much too pretty not to share!